Working in mountain communities outside of Sincelejo, the staff of Sembrando Paz organize and lead women’s retreats, Student Collaboration Projects, trauma healing projects and workshops, and serve as a support network for women leaders in traditionally male-dominated communities. With this support, women are empowered to take on leadership roles, execute community development projects, and create higher expectations for gender equality for new generations of girls and women. Sembrando Paz works with women-led community groups like Mujeres Tejiendo Sueños y Sabores de Paz in Mampuján. This group makes tapestries as part of the trauma-healing process, and they were awarded the 2015 Colombian National Peace Prize for their work. 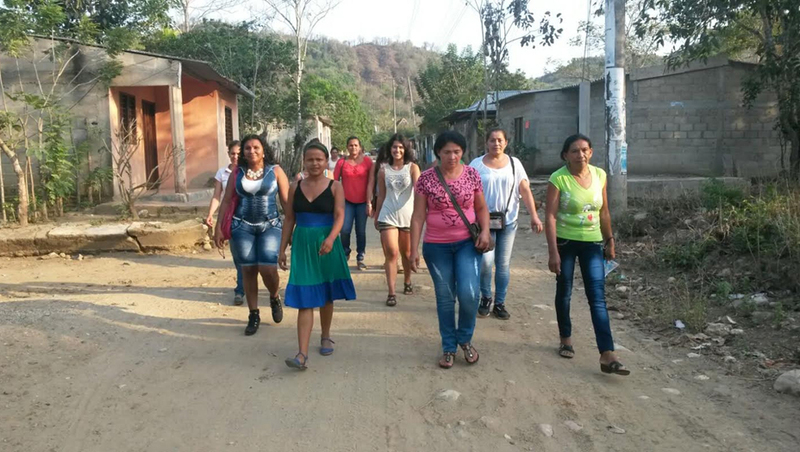 PaxWorks, together with Sembrando Paz, plans to continue supporting these and other women’s groups, which are vital to the ongoing development and healing of mountain communities in Colombia.